As you all know, our Midyear summit is fast approaching. However, the current situation in Marawi has caused our dear batch epic presidents to be disheartened. Some have decided not to go and it is not without reason, something that I and most people easily understand. I have been meeting with JCI Zamboanga and the chapters involved almost every night to ensure that security is given the highest priority. Our guests trainers, 2 former JCI Presidents, are committed and have prepared a program JCI Philippines has never seen before. 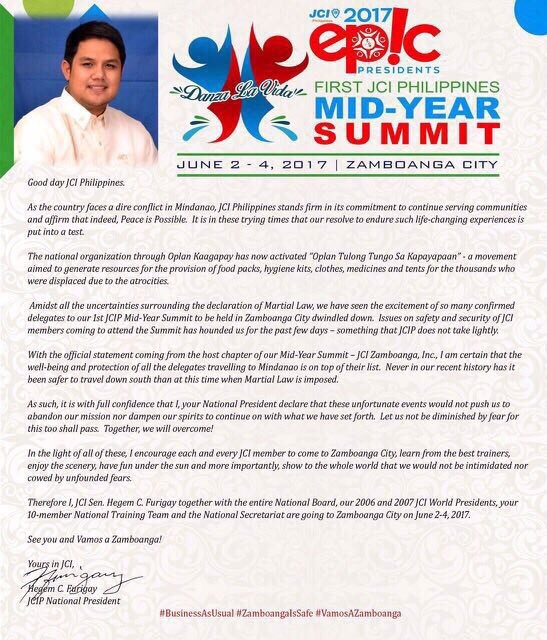 With the above, I humbly ask everyone in the National Board to encourage our presidents and their members to still attend our Midyear summit. I can guarantee that the old and historical city of Zamboanga is safe. 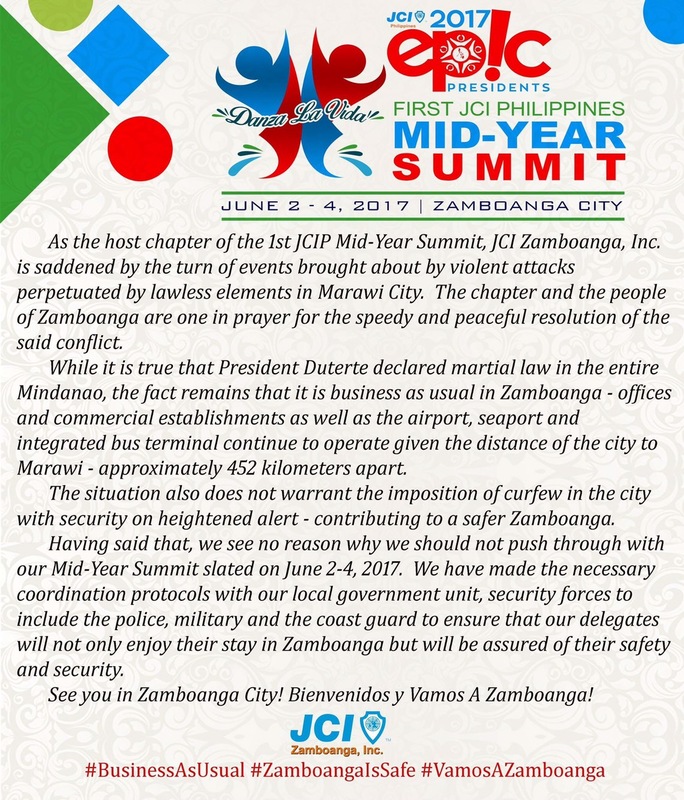 Statement of the Organizers considering the recent events in Mindanao. News came in past midnight. Not one BUT TWO Former JCI (World) Presidents are flying in for the very first Midyear Summit – Chapter Presidents Academy. Future Leaders Academy. Trainers Summit. 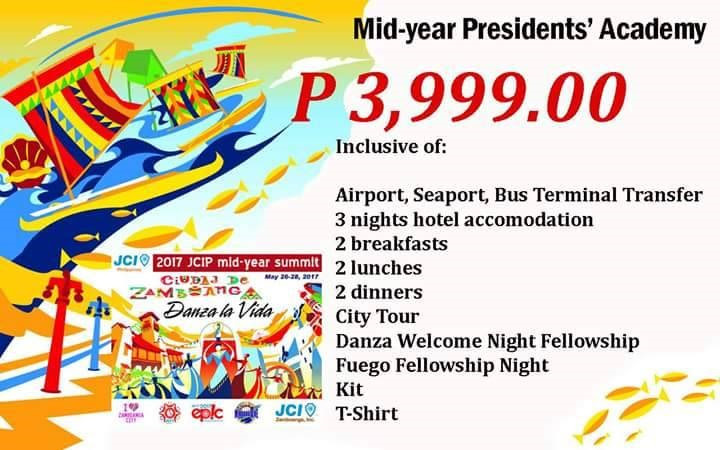 Registration to the Mid-year Summit happening from June 2 – 4, 2017 in Zamboanga is open. There are three main tracks for the mid-year summit designed for LO Presidents, trainers, and the future leaders in the local organization. There are also corresponding JCIPEA points for attendance. 2. 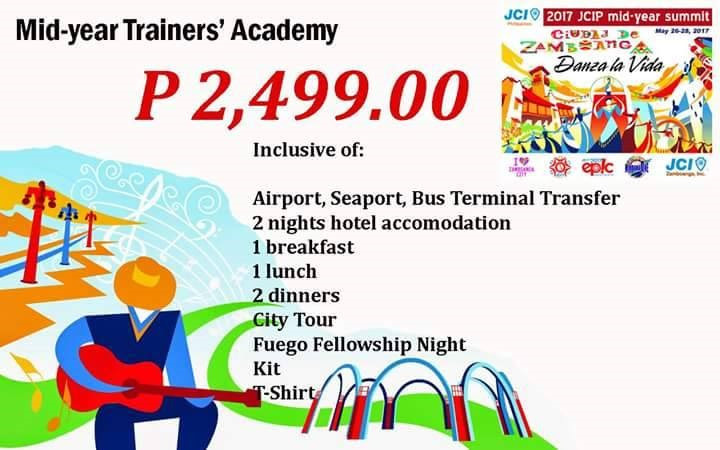 TRAINER’S ACADEMY: Open to all TRAINERS and JCI Members who have attended JCI Achieve and JCI Impact and would like to explore the opportunities of JCI training. See the circular below for the full details. 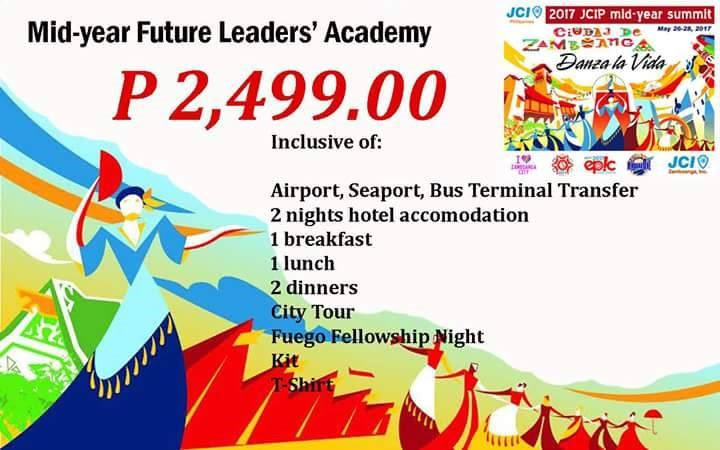 For your travel details and other registration concerns, our host chapter-JCI Zamboanga, Inc. will be very glad to assist you. You may contact our Academy Chairman/IPP Jeffrey Raoul Sanchez at (63) 9173066008 or our National Training team. Plan your trips now and we look forward to seeing you all in Ciudad de Zamboanga!